SEOUL (Bloomberg) -- Hyundai posted its lowest annual profit in five years after a slump in China deliveries overshadowed gains in Europe, the U.S. and South Korea. Net income declined 13 percent to 6.42 trillion won ($5.3 billion) in 2015, the Seoul-based automaker said Tuesday. Sales rose 3 percent to 92 trillion won. 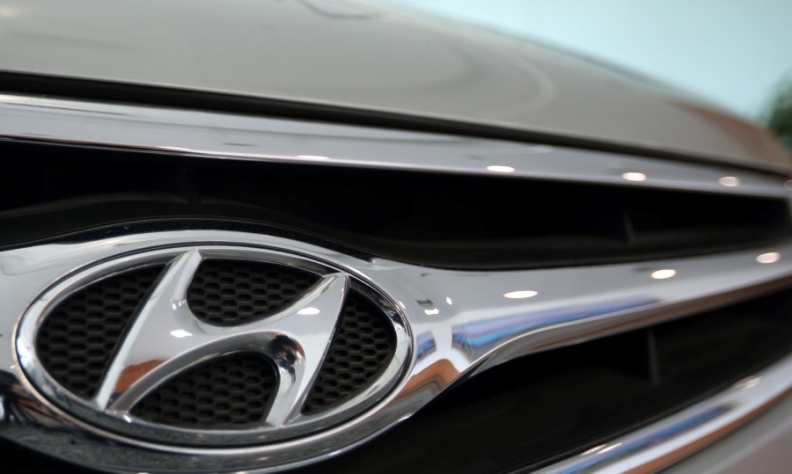 Hyundai's profit fell for a third straight year and the automaker missed its annual sales target for the first time since 2008 after deliveries in China slumped and unfavorable exchange rates cut earnings in Russia and Brazil. The company has forecast sales growth this year will be the weakest since 2006 as it expects the economic slowdown to continue in China, its largest market by volume. "You can say 2015 was a year of one bad news after another, to a point where it was almost depressing," said Lee Sang Hyun, an analyst at IBK Securities Co., before the earnings announcement. "This year, although there's hope that things may get better as demand picks up in China and unfavorable exchange rates in emerging markets calm down, it still isn't expected to be a huge improvement from the year earlier." Deliveries in China declined last year for the first time since 2007 as a slowing economy and shift in consumer preferences to cheaper SUVs hurt demand for the automaker's sedan-heavy lineup. Sales in Russia and Brazil dropped 3.2 percent and 2.7 percent, respectively, while European sales rose 11 percent to 470,130, according to data from industry association ACEA. * Profit in the 3 months through December fell for an 8th consecutive quarter to 1.63 trillion won. * Operating income slumped 19% to 1.52 trillion won, missing the 1.68 trillion won estimate. * Revenue was 24.8 trillion won in the period, versus a 24.5 trillion won estimate. Sales in the U.S., its second-largest market, climbed 5 percent, while deliveries at home in South Korea, where it gets the highest profit margin, rose 4.2 percent, helped by demand for Tucson and Santa Fe SUVs. The automaker is counting on the Genesis brand, which it spun off into a standalone luxury division in November, to reverse the decline in profit. Hyundai and its affiliate, Kia Motors Corp., plan to expand their lineup of eco-friendly cars to meet the more stringent emission standards in markets including China. Sales of the Ioniq, Hyundai's first hybrid model developed from scratch, started earlier this month.